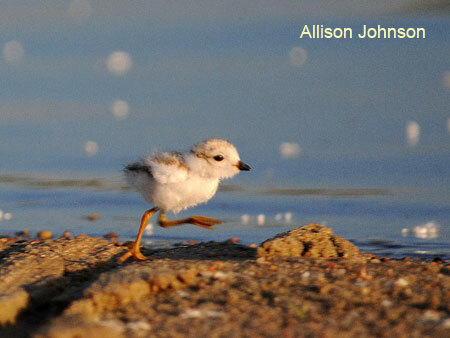 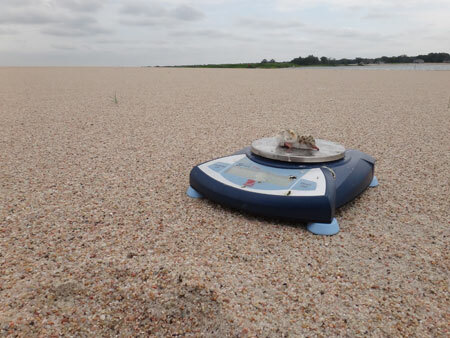 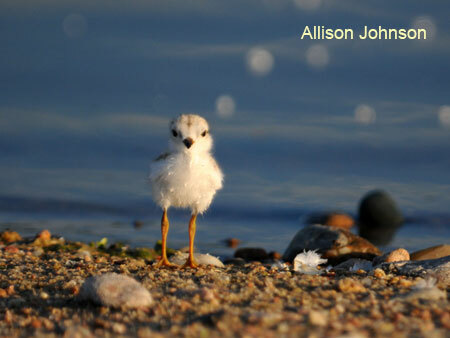 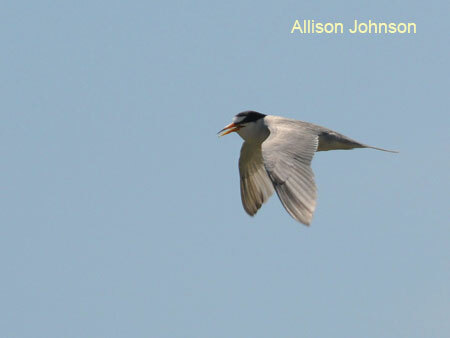 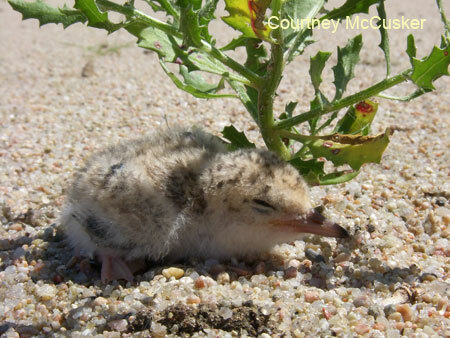 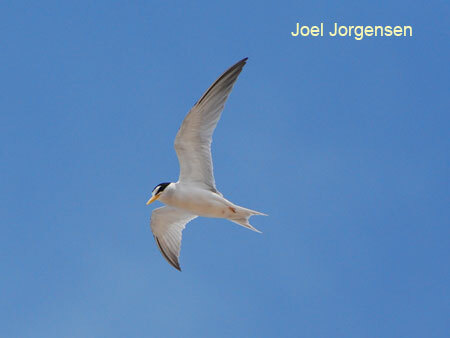 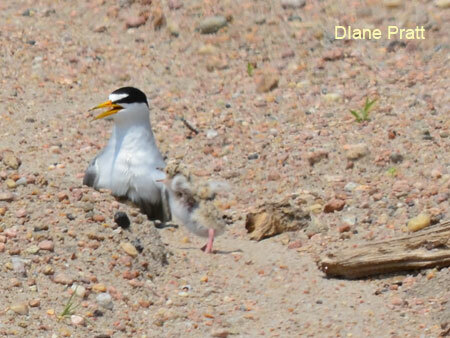 Why are we interested in Interior Least Terns and Piping Plovers? 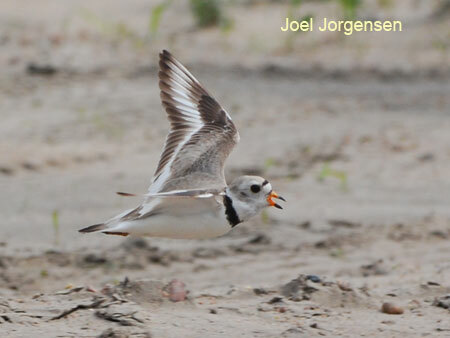 Piping Plover flying across the sandbars of a river bed. 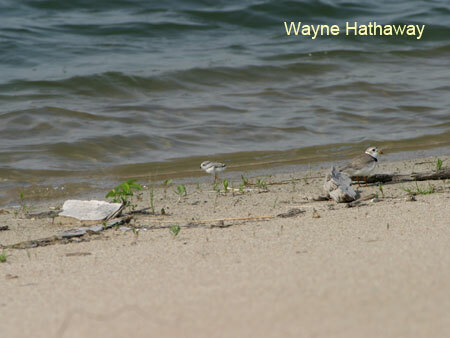 Adult male plover with chick near water. 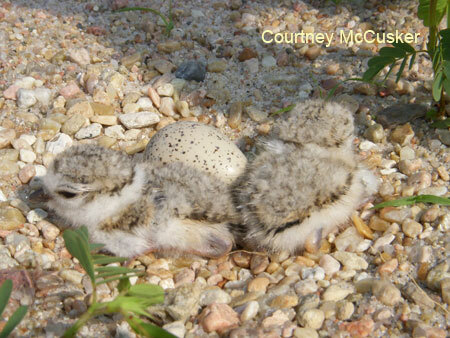 Two 1-day old plover chicks with unhatched egg. 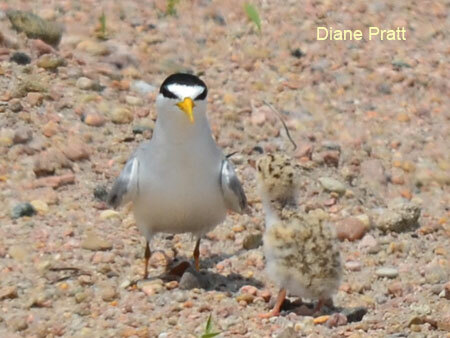 Interior Least Tern adult and chick. 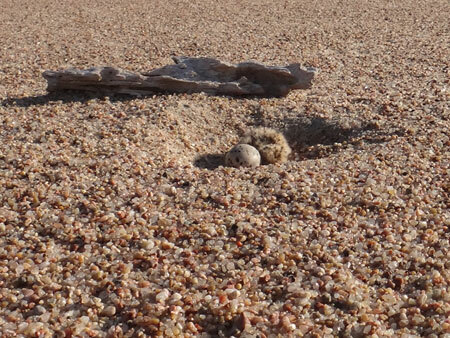 Interior Least Tern nest with one chick and egg. 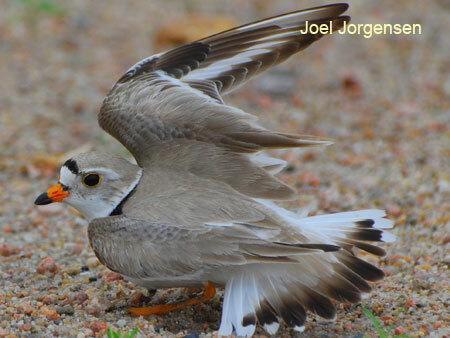 Piping Plover feigning a broken wing to draw prey from the plover's nest.